The law firm was established in 1999 by former senior employees of one international auditing, tax and consulting services organization. 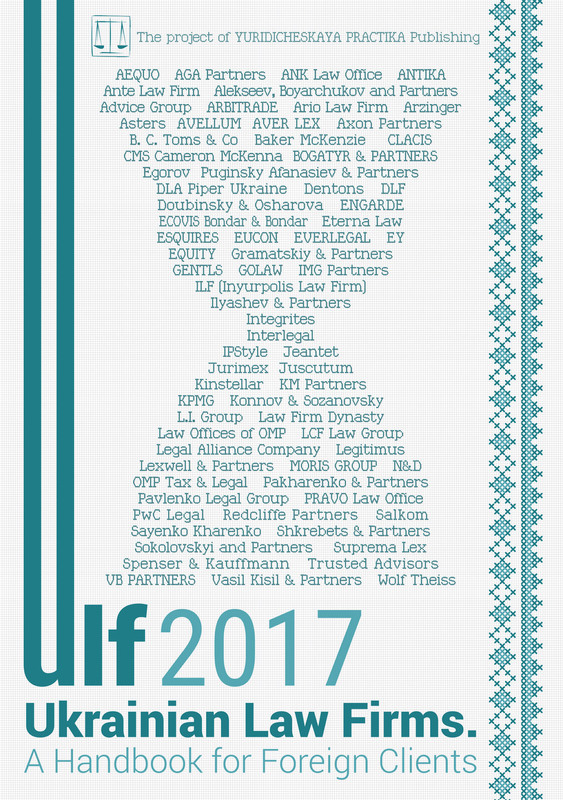 Since that time the firm has been operating successfully on the Ukrainian legal services market. Today, the reputation of multi-specialized company is maintained by 4 partners and 25 qualified and experienced lawyers. KM Partners is the legal advisor of choice in the areas of tax, customs, transfer pricing and disputes resolution for many international leading companies and their subsidiaries in Ukraine, mid-sized businesses, as well as Ukrainian companies in various industrial sectors. Real estate, construction, land, M&A, labor and commercial law are also among the firm’s strong practice areas. Two legal entities operate under the trademark KM Partners: WTS Consulting, LLC and KM Partners Attorneys at Law. As a member of WTS Alliance, KM Partners provides comprehensive legal support of complex international projects where legal expertise in foreign legislation is required. Services related to Criminal Law are provided by KM Partners Attorneys at Law, which renders services on defense of clients’ officials in criminal proceedings on white collar crimes, tax evasion, embezzlement, sham business, forgery, criminal negligence and others. KM Partners has for years been recommended among the most competent Ukrainian law firms by world-wide legal publications like Legal 500, Chambers Europe, International Tax Review (World Tax and Transfer Pricing), Ukrainian Law Firms and others. What Should be Done with the Ukrainian Customs System? The Ukrainian Customs Service requires reform. This is what we hear constantly for the last few years. The year 2016 was probably the busiest in terms of establishing various groups of experts dedicated to customs reform and visits by foreign missions including customs specialists of International Monetary Fund and U.S. Customs & Border Protection. What was the result? Plausible but questionably efficient efforts by the Cabinet of Ministers of Ukraine to make the “single window” customs clearance concept operational, mobile groups for fighting customs offences (so-called “mytni sotni”) and amendments to Regulation No. 450 of 21 May 2012 On Issues, Related to Customs Declarations adopted in early January 2017 (Regulation of the Cabinet of Ministers of Ukraine No. 27 of 11 January 2017). These measures were hardly sufficient to overcome the major problems present in the Ukrainian customs system. It would not be much of an exaggeration to say that it is broken. It is bad for the business sector (at least those that operate officially) and does not ensure the basic protection of the Ukrainian market from smuggling and other types of illegal import. The last couple of years produced many recipes for fixing the customs system with varying degree of “comprehensiveness”. Neither of these recipes seems likely to provide quick wins. Comprehensive customs reform is definitely required. Such reform is a difficult task that will take years to implement. Hence, it is probably worth starting with the specific steps aimed at fixing major flows seen by the naked eye. A non-exhaustive list of such fixes may be described as follows. Embarrassing problems with getting refund of customs payments after the unlawful adjustment of the customs value (after such adjustment was cancelled by the courts) remain unresolved. A reminder that during the last couple of years, customs offices often created obstacles in getting refunds of overpaid taxes after final cancellation of the decision on customs value adjustment. The stance of the Supreme Court of Ukraine, which denied the right to claim straightforward collection of overpayment from the budget, made the situation even worse. In effect, the customs valuation was transformed into the perfect instrument of raising money for the budget. The customs office revises the customs value and irrespective of the grounds for revision (whether they were sound or not at all) monetary funds remain in the budget with little chance of them being returned. Some of the amendments to Regulation of the Cabinet of Ministers No. 450 of 21 May 2012 On Issues, Related to Customs Declarations adopted in early January 2017 seem to target this problem. Namely, this relates to the rule that cancellation of the decision on customs value adjustment should be the basis for amending the customs declaration. Yet, we are rather skeptical that such changes will be helpful. The question is not with the amendment of customs declarations as such. The customs offices block repayment, referring to the ambiguous Procedure of interaction among local bodies of the State Fiscal Service of Ukraine, local financial authorities and local bodies of State Treasure Service of Ukraine in the process of reimbursement to taxpayers of amounts paid by mistake or in excess (Order No.1146 of 15 December 2015 of the Ministry of Finance of Ukraine). Hence, it is by amending this particular act that the deadlock may be broken. It would be sufficient to stipulate in this Procedure that cancelling the decision on customs value adjustment shall be unconditional grounds for the Customs Office to file the confirmation to the State Treasury about the sum of overpayment. The other point relates to the messy non-tariff regulation, which is one of the major problems of the Ukrainian customs system. Phytosanitary, radiological and other controls are, in their current condition, doing more harm than public good. They are hampering the fully-fledged operation of the “single window” approach to customs clearance, which is a vital step needed for improving the Customs Service. As well as proper functioning of the preliminary customs declarations of type “EA” (which is an advanced instrument ensuring efficient logistics of cross-border shipments). There will be few objections to the opinion that the majority of such non-tariff measures are not efficient in terms of protecting the Ukrainian market from undesirable imports. With this in mind they need to be either reformed or cancelled all together. There are no reasons at all to retain these bodies in their present form. Starting from adoption in 2012, the Customs Code of Ukraine contains provisions regarding authorized economic operators. Yet, since then the respective rules have remained idle. The status of an authorized economic operator is one of the best international practices aimed at trade facilitation. It would provide Ukrainian responsible business with an instrument for significant simplification of their foreign economic activity primarily on the Ukrainian side but with the potential to extend to the EU (if the status is recognized there). Draft Law No. 4777 On Amending the Customs Code of Ukraine with Respect to Authorized Economic Operator and Simplification of Customs Formalities was submitted to the Verkhovna Rada in early summer 2016. So why not adopt it? One of the big challenges facing importers of consumer goods is the huge inflow of goods brought into Ukraine without customs control and import taxes with application of various schemes exploiting flaws in Ukrainian customs regulation. One of the most widespread (specifically, on the Western border) schemes of tax-free import is the splitting of dispatches. It exploits the loophole in the law, created by the rule on tax-free import to Ukraine of goods with a value below EUR 500 and/or weight below 50 kilos (for entry points other than by air) carried by citizens. Mobile groups for fighting customs offences created by the Cabinet of Ministers ensured some positive shifts in combating such illegal import. Yet, without closing the loopholes in customs rules, significant progress in fighting such schemes of tax-free import is unlikely. The State Fiscal Service of Ukraine has supported amendments to the Customs Code of Ukraine, suggested by the business community, aimed at fighting the schemes of tax-free import following the practice of the EU, USA and Canada. These amendments introduce extra conditions for tax-free import — a citizen may apply the relief once a week and on condition of absence in Ukraine at least 48 hours before entry. SFS has sent the respective Draft Law to the Cabinet of Ministers for submission to the Verkhovna Rada. If finally adopted, such amendments would be a powerful step towards preventing tax-free import using the scheme of splitting dispatches (deliveries). Yet, the amendments were shelved at the Ministry of Finance without making significant progress. The Ministry of Finance’s official position is that it is working on a comprehensive solution. Yet, why not begin with a proven recipe? The other point that seems not to be working properly are the rules on liability for customs offences, as set out in Articles 458-542 of the Customs Code of Ukraine. Extremely high penalties (e.g. 300% of the amount of underpaid taxes or 100% of the customs value of goods with their seizure) were a trade-off in return for de-criminalization of liability. Time has shown that such penalties are not efficient in terms of fighting persistent offenders but are applied against benevolent businesses in most cases. Hence, it is necessary to fix these rules too, at least by excluding discretionary rules triggering corruption risks. Last but not least, institutional reform is hardly required. Strong governance in the field of customs requires a strong central office with competent and motivated staff in sufficient numbers. This is required for appropriate analytical work and monitoring of the territorial offices. Yet, reportedly, current “institutional reform” longs more in the direction of cutting the number of officers in charge of customs (the direction started by Mr. Klymenko following unification of the tax and customs services). Such an approach is not a sound one and would hardly be helpful in ensuring the proper functioning of the customs system. Moreover, against this background, it is difficult to expect speedy revival of the customs post clearance audit function. Yet, without an efficient post clearance audit, one can hardly expect any real simplification of customs clearance at the border. The entire burden of control over shipments will be placed on the formalities during the customs clearance process. The above list is not exhaustive and provides a rather subjective review of improvements. Other customs practitioners may add to this list. The basic idea is that the small steps in the current situation are also necessary and may provide quick wins in terms of reviving the Ukrainian customs system, irrespective of pursuing comprehensive customs reform. There is no need to reinvent the wheel, proven recipes are available and in some cases even already adapted to the Ukrainian legal system. Hesitation on the part of the state authorities with required amendments is unexplainable.